2. Choose the account you wish to modify in the list the comes up by double clicking it, or clicking it once, then choosing the 'Change' option. This will bring up your account settings. 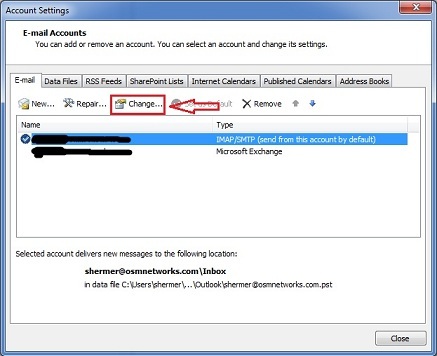 Account Type - POP3 works well for most users, however, our servers also support IMAP connections. Incoming & Outgoing Mail Servers - enter: mail.yourdomainname.com for both. Replace 'yourdomainname.com with your actual domain name. 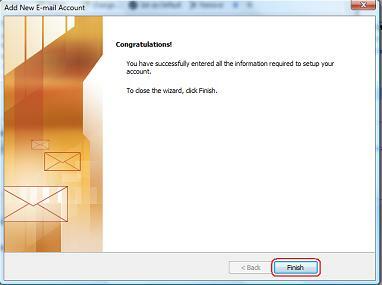 Password - Enter the password that was assigned to your email account when it was set up in cpanel. Remember Password - check this option. 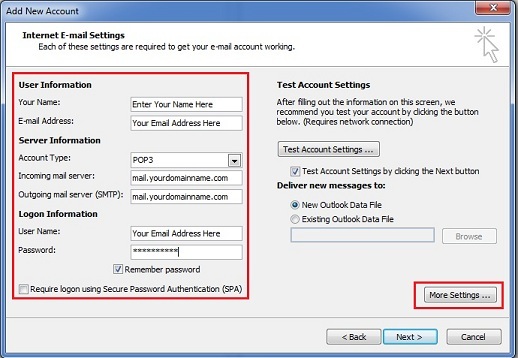 Deliver Messages To - choose existing data file if you want these messages to go to an existing inbox, otherwise choose new data file if you want to keep these emailsseparatefrom any other email accounts you might have set up. After you've entered in the above information, click on the 'more settings button! 4. In the 'more settings' dialogue box, go to the outgoing server tab. 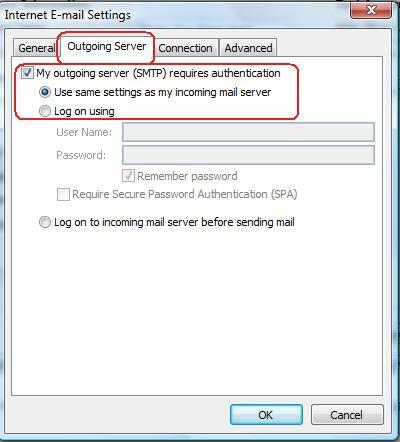 Check off the option that says "My outgoing server (SMTP) requires authentication. 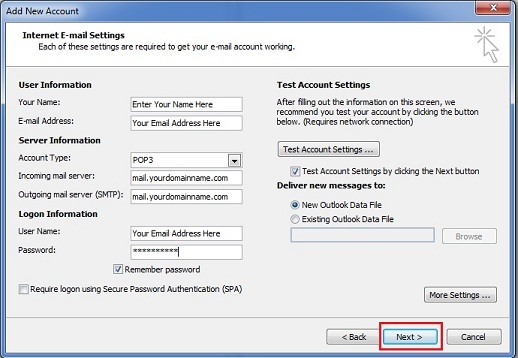 Then choose the sub-option that says "Use same settings as my incoming mail server". Do not hit 'ok' yet, instead, proceed to the advanced settings tab. 5. Still in the 'more settings' dialogue box, proceed to the 'advanced settings' tab. 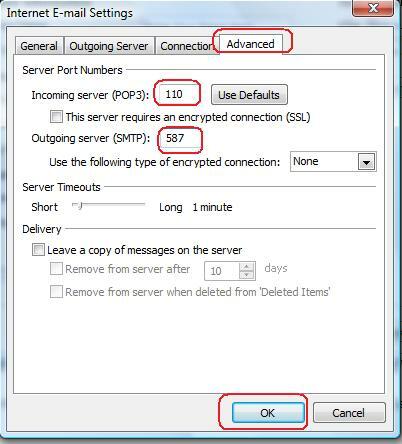 For the outgoing mail port, both 25 or 587 will work with our servers, however, many internet service providers block port 25, so we suggest trying port 587 first. 6. Click 'next' then 'finish' to save your account. If the testing does not work, go back and double check there were no typos in your settings.